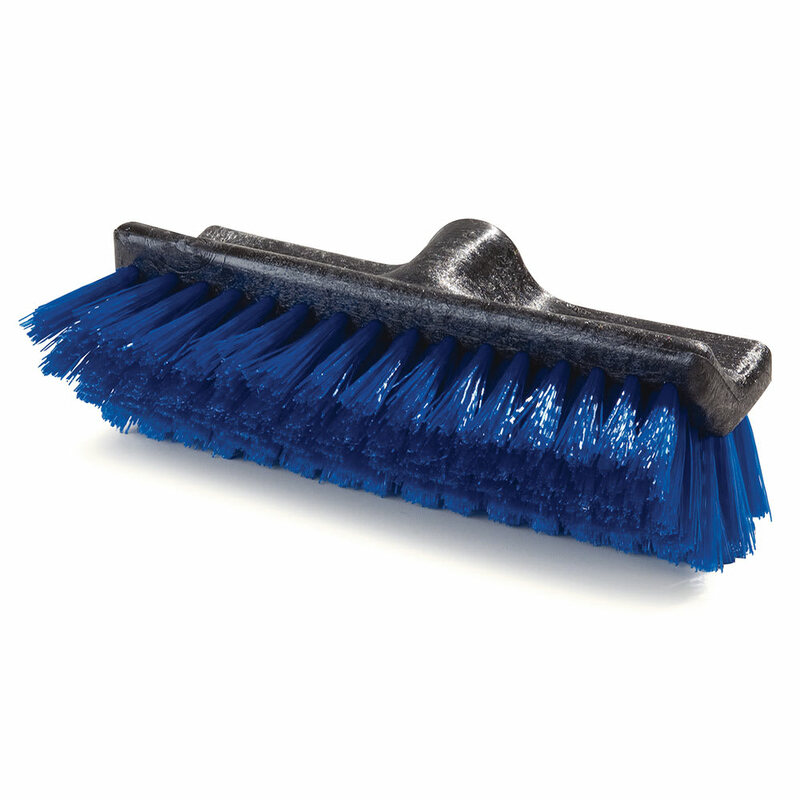 The Carlisle 3619714 Flo-Pac® Dual Surface® floor scrub brush head is split to clean under counters, around equipment, and along baseboards. 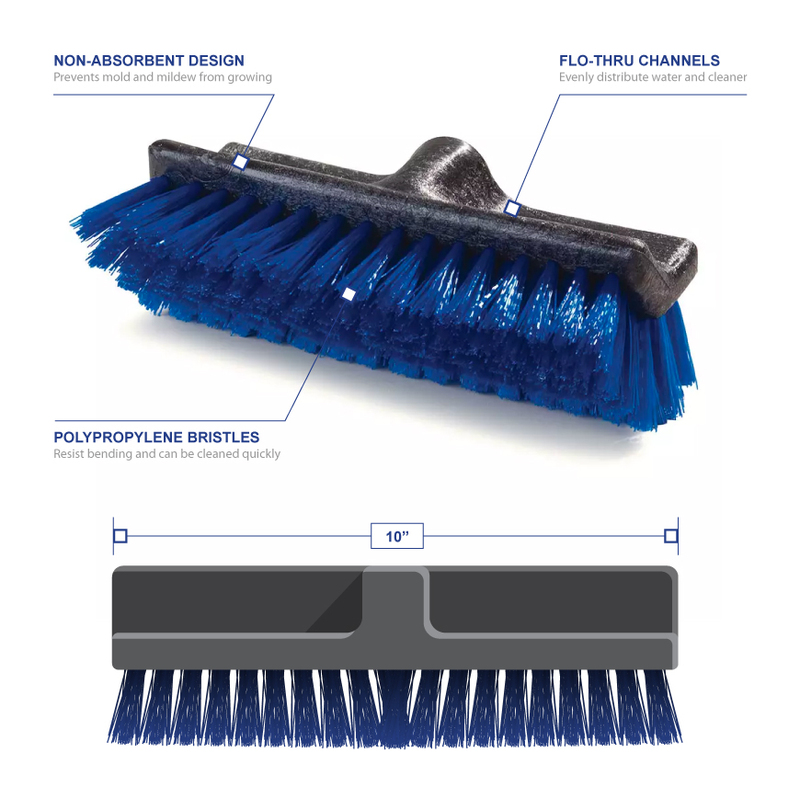 Water and cleaner are evenly dispersed by the head’s Flo-Thru channels. The head, which can withstand temperatures from -40 to 180 degrees Fahrenheit, consists of a plastic block and polypropylene bristles that prevent mold and mildew from growing.